Clegg needs to ask himself a difficult question: did he come into politics to be part of perhaps the most diplomatically-inept and Euro-hostile government in modern British history? The consequences of David Cameron’s refusal to agree to participate in the Merkozy plan early on Friday morning will be many and various, short-term and long-term. Some of the domestic political consequences are already apparent. Having scented Cameron’s weakness, or a kindred spirit revealed, the Europhobe Right have taken to the airwaves to demand renegotiation of Britain’s relationship with the EU. While, after an initial attempt to toe an agreed line, it appears that senior Liberal Democrats have decided enough is enough. Critics might say that this is coming a bit late in the day – after tuition fees, the demolition of the NHS, the targeted attack on public services and the disabled – and on a topic which will not resonate well with the general public. But Europe is a topic that holds a very particular place in the worldview of many Liberal Democrats. Of course, in response to this the rabid right of the Tory party are goading the Liberal Democrats to walk away from the Coalition, in the expectation that “bulldog” Cameron will be swept to victory after this show of strength. The longer term political consequences are uncertain. For example, does a Westminster government disengaging from Europe make Scottish independence more likely? The economic consequences are equally unclear. Cameron’s justification for walking away was that he had no alternative. He couldn’t agree to the proposals on the table unless he gained agreement on provisions to protect the single market and preserved discretion over banking regulation. Cameron’s proposals seem to have been dismissed pretty summarily. Other summit participants appeared to see Cameron’s proposals not as a modest attempt to protect the single market but as special pleading for the City of London. To agree to that would open up a can of worms, with other countries wanting to claim various exemptions for industries they hold particularly dear. Cameron’s justification for walking away seems shaky on a number of grounds. It isn’t at all clear that the strategy was necessary to protect the City. The process for approving a financial transaction tax, for example, would offer the option of a veto at a later stage. The sorts of emerging EU regulations Cameron was exercised about can be passed by a Qualified Majority Vote, and that can still happen. He gained no additional safeguards. It is also not at all clear that a future of greater isolation will be advantageous for the City or the British economy more broadly. The right of the Tory party have a vision of England as the “Singapore of Europe”, a small independent country trading successfully with the rest of the world on the basis of low taxation, limited welfare state, and absence of effective regulation. Hence the parallel desire to demolish most of the achievements of social democratic progress of the twentieth century. Presumably they don’t want England to be a dictatorship as well. But maybe they do. Critics have argued, in contrast, that the appropriate analogy to draw for the City of London is England as the Cayman Islands of Europe – a tax haven through which all sorts of questionable and unlawfully acquired money is passed out of the reach of international authorities. Lax City regulation was arguably a key contributor to triggering the sub-prime crisis – the companies may have been American but much of the trade was being passed through London to avoid US regulation. There are those who are currently arguing that the City is about to visit financial Armageddon on us as a result of its complete failure to regulate re-hypothecation in the shadow banking industry. This characterisation of the likely future for the City has stronger empirical support. Even if you don’t buy into these arguments – or the more extreme versions that consider much of what is happening in the City to be fraudulent – there is an argument that the City is only strong while Britain is integral to Europe. The same applies to other types of foreign direct investment. England is a gateway into Europe that allows international investors to circumvent tougher regulation elsewhere. England outside Europe would be less appealing. 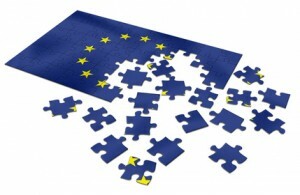 If the Eurozone-17+ bring their plan to fruition then the financial centre of gravity will inevitably shift. The heart of the action will be elsewhere. Cameron, Osborne and Hague claim that even after isolation Britain is as much a part of the EU as ever, nothing has changed. The Eurozone-17+ can go away and plan for further fiscal integration, but many key negotiations will still require participation of and unanimity among the EU-27. This is disingenuous. It is disingenuous at the level of practical politics. If the other countries are meeting more regularly without British representation then inevitably the bonds of mutual understanding will be stronger. It also presupposes that Britain will have a choice about remaining semi-detached. Cameron’s obtuseness and failure to show solidarity with the EU at a time of crisis may be sufficient for Britain to be shown the exit. You wouldn’t be at all surprised if there is retribution from the other 26 countries further down the line. Of course, all this presupposes that Cameron was genuinely trying to secure concessions for the City. An alternative interpretation is that this was all a smokescreen. The real motivation can be found in domestic politics. It was a way of avoiding a referendum on Europe while appeasing the Europhobes and, because it was the unwillingness of other countries to accept Britain’s “reasonable” demands, it would keep the Liberal Democrats on-side as well. There is some circumstantial evidence for this view. For Cameron to present a protocol covering a swathe of arcane technical changes to financial regulation the day before a major summit to try to solve the Eurozone crisis has two interpretations. Either it is spectacularly diplomatically inept or it is not intended as a serious proposition but as a pretext. To achieve the sort of changes that Cameron was seeking would take months of careful negotiation and alliance building. That could have been happening before last Thursday’s summit. It could have happened after the summit as the details of implementing the Merkozy plan were worked up. But it doesn’t take more than a second’s reflection to realise it wasn’t going to happen on the night unless Britain had all the other countries over a barrel and there was no alternative. There was always an alternative – which is what we are seeing – so it was never going to work. That alternative approach may prove too unwieldy in the very near future, but its existence was sufficient to neuter Cameron’s threats on the day. So should Cameron have agreed to the Merkozy plan early on Friday morning? That is a harder one. I can see grounds for saying that he shouldn’t. But that would be because the plan isn’t a very good one, rather than because it doesn’t serve British interests. The plan does nothing to address structural imbalances within the Eurozone. The plan simply builds in permanent austerity and deflation for Southern European countries, assuming that the proposed rules can be enforced. It removes the possibility of active fiscal policy. Prescribing German fiscal discipline for all is unlikely to be a long term solution – it is more likely to lead to the break up of the Eurozone. The plan doesn’t create a genuine fiscal union because that would entail automatic transfers from North to South and, when necessary, back again. There is no plan for growth. There is a concern for liquidity and sovereign debt. But there is no concern for private sector solvency. The financial pages are warning that a major European bank is likely to fail in a matter of weeks if not days; banks are running out of collateral. These are pressing issues, but it is unclear that politicians can engage with the problem at a sufficiently profound level. The plan does bring forward measures to try to reduce market volatility, which has got to be done. But I’m not sure they are the right measures. There is also a puzzle here. The Merkozy plan tries to control financial volatility. But Cameron apparently didn’t like it because it would stop Britain from implementing its own stricter regulations via the Vickers review. If Cameron were genuinely concerned that the Merkozy proposals were too weak then presumably he could have argued for an opt-out to apply stronger regulations. I don’t suppose any other country would have objected to that. As far as I can see it is more likely that Cameron is using the Vickers line primarily to keep the Liberal Democrats sweet. I would very much welcome Vickers implementation but I’ll believe it when I see it. Cameron has reaped what he has sown. He should have been taking a more positive role in negotiations for months now, rather than lecturing from the sidelines. The plan being discussed on Thursday should already have had significant British input, even accepting that it currently applies primarily to the Eurozone. If Cameron was genuinely concerned about preserving the single market this should have been part of the negotiations that have been occurring over the last few weeks and months. If it was, then Thursday should have been entirely expected. If it wasn’t, then that’s a diplomatic failing. It could no doubt have been a part of future discussions, had Cameron still been at the table. A question is what the Liberal Democrats should do now. The Party has a real problem. If it walks away from the Coalition then not only will that very probably spell electoral oblivion but, more importantly, it could lead to the bond vigilantes wreaking havoc on the British economy. But if it stays in a Coalition that has taken such a destructive Europhobic position then it not only further obscures its independent identity but also seems to signal its ineffectiveness as a political force: the Government’s agenda is influenced more by a group of irrational Europhobes than the party as formal Coalition partners. The differentiation being attempted by Clegg, Farron, Cable and Co is wise. The question is whether pouring oil on troubled water is sufficient. We need to get out and make the case for Europe much more clearly. Explaining the benefits of active and engaged European membership is paramount, while at the same time not uncritically endorsing everything that emanates from Brussels. Countering the Europhobic onslaught is a challenge, especially because much of the tabloid press sees this as a triumph – yesterday’s Express, for example, was crowing that Cameron’s actions represent a victory for their “Crusade” to get Britain out of Europe. But it has to be done. And it has to be done urgently. Has local democracy passed its Selby date? Laying the foundations for private renting?